A stay at this aparthotel places you in the heart of Malia, a 6-minute drive from Palace of Malia and 11 minutes from Star Beach Water Park. This aparthotel is 4.1 mi (6.5 km) from Lychnostatis and 5.4 mi (8.7 km) from Aquaworld Aquarium. Bella Elena Apartments is a modern hotel unit, built in the heart of the village of Malia. Only a couple of minutes on foot from the central square of the village with its traditional cafes ready to serve you Cretan food and a few steps away from the seaside road of Malia, the most famous road for the nightlife it offers. 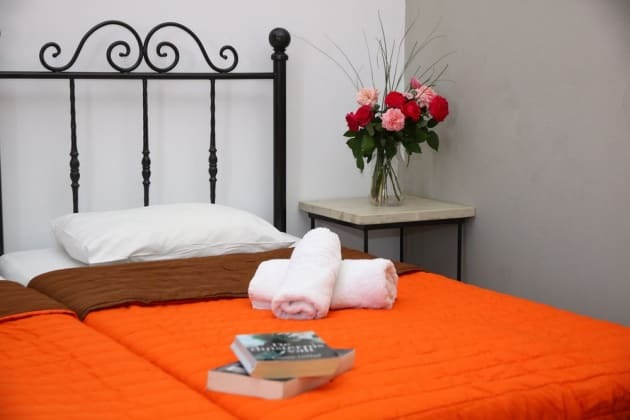 Our apartments offer 3 star accommodations and are certified by EOT (Greek Tourism Orgatization). They dispose comfortable and sunny common areas, a big central swimming-pool, a small one for our your friends and a pool bar which is open 24h a day. The location of Bella Elena is ideal for you to move on foot to every place in Malia, but also to discover the well-known sandy beaches of the area. 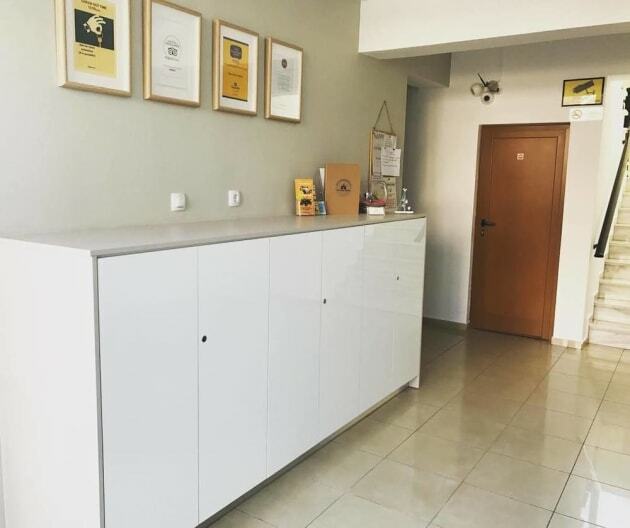 At a near distance, you will find super-markets, pharmacies, banks, restaurants, cafes, pubs, clubs and all kind of shops so as to buy from clothes and souvenirs to jewerly and traditional Cretan products. Located in Malia, Kristalli Hotel Apartments is within a 15-minute drive of Star Beach Water Park and Stalis Beach. This aparthotel is 9.3 mi (15 km) from Crete Golf Club and 1.4 mi (2.2 km) from Palace of Malia. Make yourself at home in one of the 60 air-conditioned rooms featuring kitchenettes. Rooms have private balconies or patios. Wireless Internet access (surcharge) is available to keep you connected. Conveniences include phones and refrigerators, and housekeeping is provided on a limited basis. When you stay at Creta Verano Hotel in Malia, you'll be near the beach, within a 10-minute drive of Star Beach Water Park and Stalis Beach. This all-inclusive aparthotel is 9.1 mi (14.6 km) from Crete Golf Club and 1.1 mi (1.8 km) from Palace of Malia. At Real Palace, enjoy a satisfying meal at the restaurant. Unwind at the end of the day with a drink at the bar/lounge or the poolside bar. Buffet breakfasts are available daily for a fee.